This great Coffee/Cappuccino/Tea set of 6. Made of fine bone china and attractive design will be a big hit for as a gift for that coffee drinker. Sold with windoe gift box and clear lid. The Groom and proud of it, this white iron-on is a great complement to her rhinestone bride iron-on. Let your shoes do the talking with "I Do" decals. 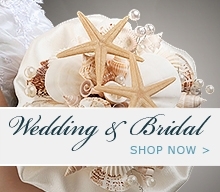 The blue pearls and crystals subtly add that "something blue" to your wedding outfit. Your big day is all about the little details, so have fun with them! Ideal for use with t-shirts or any fabric item that could be made a little more special by recognizing this distinctly wedding related duty. With white flocking this Ring bearer iron-on if ideal for darker colored fabrics. When he wants everyone to know that he is lucky enough to be the one marrying the beautiful bride this is the iron on transfer he will need. A perfect complement to her Rhinestone Bride Iron on. These great unisex Gilden T-Shirts are a great way to celebrte your rustic wedding, or hunting family. Available in 4 sizes and 3 colours. Great for every occasion, our Home Brew Can Glasses are ideal example of fun and functionality. Sold in a set of four and inspired with a soda can shape, these dishwasher-safe glasses will make a great addition to any beer lover's collection. Sold in a set of four and topping the trend charts with four mustachio-clad designs, the Gentleman's Mustache Pilsners are ideal for every barware collection. This amazing wall plaque measures 21"H and is a great gift for any Bride or Groom. This amazing Groom etched glass is a perfect way gift for the groom. The 7" tall by 4"wide heavy glass construction is a gift that will last for many years. Modern and toast-worthy, the Wedding Party Champagne Flutes are sold in a set of four and engraved with Bride, Groom, Maid of Honor, and Best Man. This "Anchored in Love" white canvas beach bag is an ideal bride or bridesmaid gift for wedding day essentials, a picnic or day at the beach. Bag measures 16.25" x 13". This unique silver jewerly box is a great gift for your bridal party or as a special gift to the special person. The silver box comes engraved with up to 3 initials to add that extra special gift.